I love going on factory tours, and thought I'd put something together in case you're looking for some fun ideas for the summer. What are your favorite factory tours? Have you been on any of these? Are they worth it? Leave a comment below! Boudin - a staple in San Francisco since 1849, Boudin's sourdough bread is my favorite! The Fisherman's Wharf location has a huge restaurant, store, big window baking area and self-guided museum and bakery tour. Watch a short YouTube video of the dough preparation and baking process here - via Samantha Brown. The tour has historic and interactive exhibits and you can look down into the bakery as they work from the second floor. You can also watch the bread shaping process (free) from the street. A baker explains what he/she is doing and you can ask questions. When: Daily 11:30 a.m. - 9 p.m. Cost: $3, but free after dining there or if you go when there's no one standing at the kiosk. 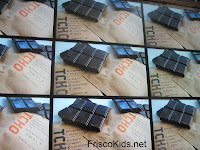 TCHO - artisan chocolate maker offers great tours of their factory, plus chocolate tasting! Frisco Kids TCHO tour review here. Kid info: No kids under age 8. No strollers. Reservations: Recommended - reserve online here. You can call to be put on a waiting list, or show up 15 minutes before to see if there's space. TCHO tour information here. Golden Gate Fortune Cookie Factory - not really a factory tour, but you can go inside and watch the ladies hand-folding the fortune cookies and eat some warm, fresh ones. Of course bags are available for purchase as well. How long: no actual tour. Walk in, look, sample and leave. Reservations: none. More info here. Charles Chocolates - I met Chuck years ago, before I knew he made (or was going to make) chocolates. Bummer! I'll have to reconnect with him on a Charles Chocolate tour in his Mission district factory and store. (By the way, they have tea service twice weekly). You'll learn how the artisan chocolate is made and sample five types, plus their hot chocolate. Anchor Brewing - learn the history of Anchor Brewing and tour the three production floors. 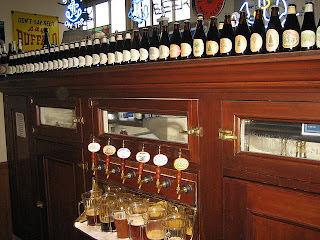 Tastings are only available to those on the tour (no walk-ins). Reservations: Required. Call (415) 863-8350 x 0 Monday - Friday from 9-4 Pacific time. No waiting list maintained. You can reserve for up to 10 in your group, space permitting. They accept reservations six months in advance. Jelly Belly Tour - Best on weekdays when the factory is actually in production. You can still tour on weekends, and you'll see everything but the machines in work and employees on the floor. At popular times, you'll have a long wait for the tour. The gift shop is huge and you can get bags of "Belly Flops" which are irregular beans at lower prices. Mrs. Grossman's Sticker Factory - one of my favorite factory tours. Not only do you get to tour the factory floor, you get samples at the end and get to make a sticker project. The gift shop is fabulous and has lots of sales and clearance items. No strollers allowed on the tour. If you can't get on the tour but are in the area, you can still visit the company store. Reservations: required. Call 800-429-4549. Mrs. Grossman's Sticker Factory tour info here. Here are some other factory tours in the extended Bay Area.